The year 2020 will mark Missouri S&T’s sesquicentennial celebration. A special commemorative book is being planned for the occasion, and we need your help. Please share remembrances of your alma mater and you may see your story in the book. All stories will be shared with the University Archives. Email your stories to 150@mst.edu or visit magazine.mst.edu/150memories. We look forward to hearing from you! Help us find Rolla alumni who have demonstrated ingenuity and innovation through their inventions. Missouri S&T Magazine is compiling a list of alumni who saw a need and created something to meet it. Below is a list of alumni inventors we’ve heard from so far. Don’t see your name listed? Help us out by completing this short online survey found at rol.la/minerinventors. 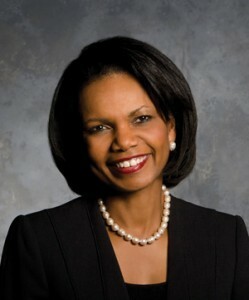 Missouri S&T will present a lecture by Condoleezza Rice, the 66th U.S. secretary of state, in May. She is the 31st presenter in the Remmers Special Artist/Lecturer Series. Missouri S&T was again chosen by Military Advanced Education (MAE) as a top choice for active-duty military personnel and veterans wanting to pursue a college education. What is your favorite place in Rolla? For some alumni, a campus locale holds a special place in their heart. Others have fond memories of recreation spots or enjoying the great outdoors. We asked about your favorite place in Rolla. Here is what you told us. Students in Ivan G. Guardiola’s Operations Research course learned to survive a zombie apocalypse while learning the fundamentals of managing global supply chains and large-scale industrial operations. Suzanna Long, Hist’84, Phys’84, EMgt’04, PhD EMgt’07, associate professor of engineering management and systems engineering, was named president-elect of the Society for Engineering and Management Systems (SEMS), a part of the Institute of Industrial Engineers (IIE). SEMS supports IIE members as they advance the state of engineering management practice and research. Delbert Day, CerE’58, Curators’ Professor emeritus of materials science and engineering at Missouri S&T, was named an Alumni Fellow by Pennsylvania State University (Penn State). A member of the National Academy of Engineering, Day earned master’s and Ph.D. degrees in ceramic technology from Penn State in 1960 and 1961, respectively. Day holds 62 U.S. and foreign patents for ceramic technology, including radioactive microspheres called TheraSpheres, which are used to treat patients with inoperable liver cancer.